"Thank you so much!! I am extremely satisfied with Dr. Valdez and his staff." "Dr. Valdez is a great doctor. He takes his time with you and answers all your questions." Dr. Jose L. Valdez is a caring family practitioner with three decades of experience serving patients in Santa Ana, California. Dr. Valdez grew up in Santa Ana and feels a strong a connection with the community. Providing proactive and reactive comprehensive care is the primary goal for Dr. Valdez. He also focuses on compassionate geriatric care, routine health maintenance, and the management of chronic conditions like diabetes, hypertension, and high cholesterol. Dr. Valdez graduated from the Autonomous University of Guadalajara Medical School in 1985 and completed an internship at Sisters of the Resurrection Hospital in Chicago in 1986. In 1989, Dr. Valdez completed his residency at the Adventist La Grange Memorial Hospital in La Grange, Illinois. Active in the field of family medicine, Dr. Valdez is affiliated with a variety of professional groups in California: the Saint Joseph’s Hospital Affiliated Physicians Group, Prospect Medical Group, Monarch Healthcare Medical Group, and the Family Choice Medical Group. He’s also affiliated with the HealthCare Partners Medical Group, and Caremore — an integrated health plan and care delivery system for Medicaid and Medicare patients. Dr. Valdez personally evaluates every patient and runs a family-oriented practice that treats multiple generations. Fluent in Spanish and English, Dr. Valdez easily communicates with his diverse patients and has provided long-standing medical services for the local Hispanic community. An ardent proponent of a healthy lifestyle, Dr. Valdez encourages optimal nutrition and exercise and gives his patients the necessary tools to take an active part in their health management. When he isn’t helping patients, Dr. Valdez enjoys hiking and the outdoors; he’s an avid cyclist and fisherman enthralled by the expanse of nature. Please feel free to contact our office with any questions regarding conditions treated or services provided. We'd be happy to help! For your convenience, Dr. Jose Valdez accepts most major insurance plans. Click on "View full list of companies" to see a list of commonly accepted insurances. This list is not entirely inclusive of all plans we accept. For specific insurance plan inquiries, please feel free to contact our office. Asthma attacks can disrupt your life. The wheezing, hacking, and breathlessness are debilitating, and in extreme cases, asthma can threaten your life. Find out the most common asthma triggers so you can take steps to keep your asthma under control. Is your healthy lifestyle doing nothing to eliminate those stubborn fat cells in your problem areas? Do you wish to have that beautiful body that seems to be just beyond your grasp? 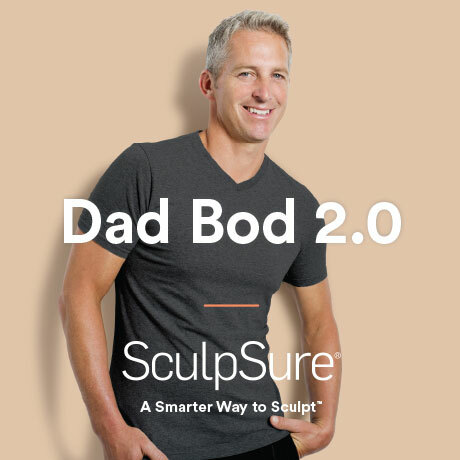 SculpSure might be the answer for which you seek. Nearly 75 million US adults have high blood pressure, and almost half don’t manage their condition. Unmanaged hypertension can lead to heart disease, stroke, and more. Learn more about the serious conditions that high blood pressure can cause. "Dr. Valdez is a great doctor. He took his time to listen to all my concerns and he answered every single one of them. I highly recommend Dr. Valdez." "I started seeing Dr. Valdez a couple months ago. All I have to say is that he's very good at what he does."